2 and a large crowd followed him, impressed by the signs he had done in curing the sick. 3 Jesus climbed the hillside and sat down there with his disciples. 4 The time of the Jewish Passover was near. 6 He said this only to put Philip to the test; he himself knew exactly what he was going to do. 10 Jesus said to them, ‘Make the people sit down.’ There was plenty of grass there, and as many as five thousand men sat down. 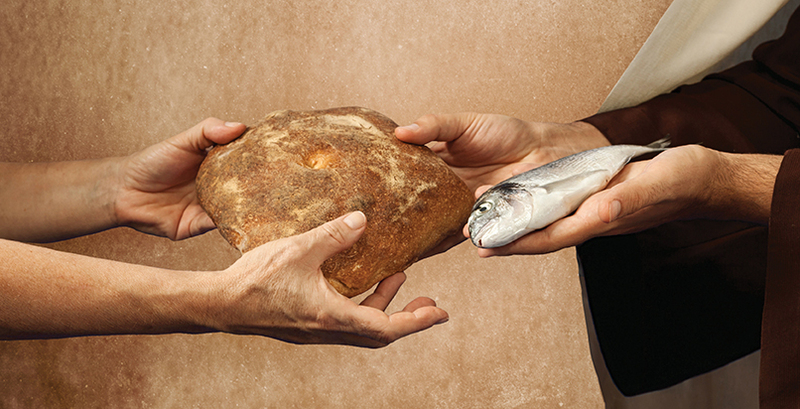 11 Then Jesus took the loaves, gave thanks, and distributed them to those who were sitting there; he then did the same with the fish, distributing as much as they wanted. 13 So they picked them up and filled twelve large baskets with scraps left over from the meal of five barley loaves. 15 Jesus, as he realised they were about to come and take him by force and make him king, fled back to the hills alone. Jesus another holy man of God transcended what Elisha did by blessing five barley loaves feeding 5000 men, not counting women and children, with “12 hampers of scraps left over,” despite Philip’s objection. Philip, like Andrew and Peter, originate from Bethsaida (cf Joh 1, 44; 12, 21. Hebrew meaning “place of fishing or hunting”). 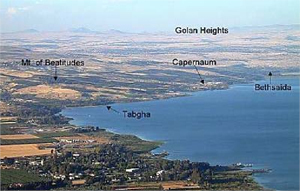 Traditionally, the location of this miracle lies in Tabgha, in the region of Bethdaida (cf Luk 9, 10). Philip would thereby be familiar with the local situation regarding provisions. “Jewish Passover” (v 4) — links the event to John’s last supper leading to Jesus’ death and resurrection heralding the era of new life in the Risen Lord when Jesus replaces the desert manna God feeds the people in the desert (cf Exodus 16) with the living bread. The Passover feast falls around the time of the barley harvest. Jesus takes the initiative to feed the hungry crowds. As a sign Jesus’ action needs to be interpreted correctly. The crowd correctly saw Jesus as “the Prophet who is to come” (cf Deu 18, 15. 19; Mat 17, 5; Act 3, 22; 7, 37). They incorrectly identity this Messiah-Prophet to be an earthly ruler and wanted to “take Jesus by force and make him king” (v 15). 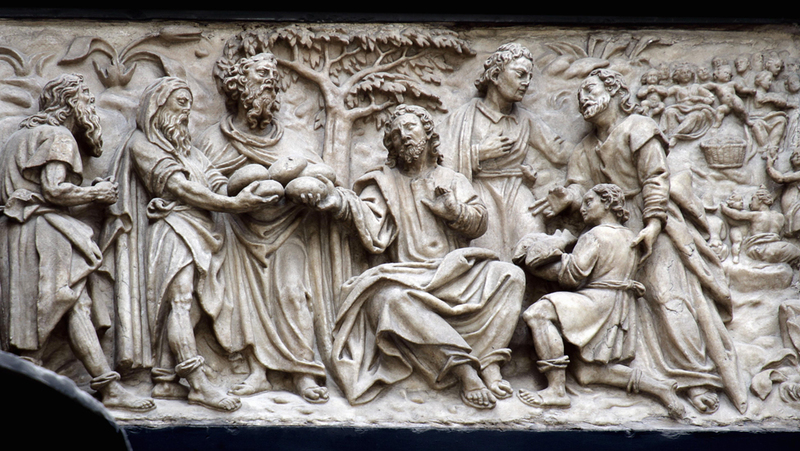 Jesus “took the loaves, gave thanks, and gave them out to all … and did the same with the fish” allude to the actions carried out at the Last Supper and commemorated at each celebration of the Eucharist. 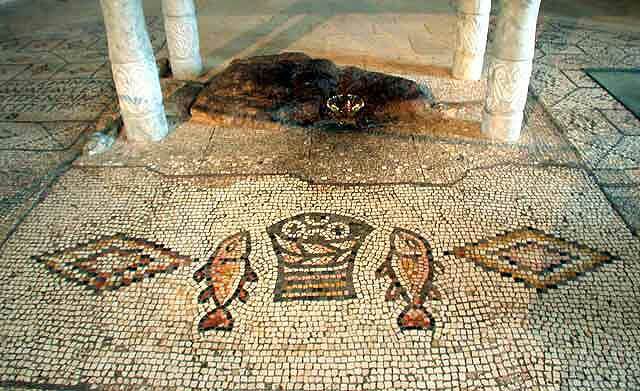 Bread and fish have been used by earliest Christians as symbols of the Eucharist. The care taken to pick up the scraps left over from the meal of loaves so that nothing gets wasted (v 13) points to the reverence that needs to be accorded the eucharistic bread used. 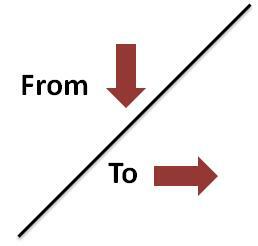 Like the crowds and the disciples we have to see beyond the miracle of the multiplication. We need to contemplate the person of Jesus Christ who offers us this bread. The coming four Sundays proclaim in the remaining verses of John 6 that Jesus Christ offers his own life in the eucharistic bread alluded to in the earlier miracle. The care shown in gathering what is left over in the barley meal alerts us to review the manner we revere the presence of the Lord in our celebration of the Eucharist and in our regard for the preserved consecrated bread. Christ’s disciples focus on the giver of the eucharistic food, the Risen One who offers his own Body and Blood as food. Believers in affluent societies are to see beyond the abundant food around to the source of this bounty. In recognising the Creator God as the source of all that there is Christians are to become aware of the need to share earth’s resources with people in impoverished societies and especially those in want. Reginald H Fuller and Daniel Westberg, Preaching the Lectionary: The Word of God for the Church Today. Liturgical Press 1984, 2006. Dennis Hamm, Let the Scriptures Speak. St Louis University, Centre for Liturgy 2001. Kevin Irwin, Sunday Worship. Pueblo 1983. John J Pilch, The Cultural World of Jesus, Sunday by Sunday, Cycle B. The Liturgical Press 1996. The New Jerusalem Bible. Dalton, Longman & Todd 1985. 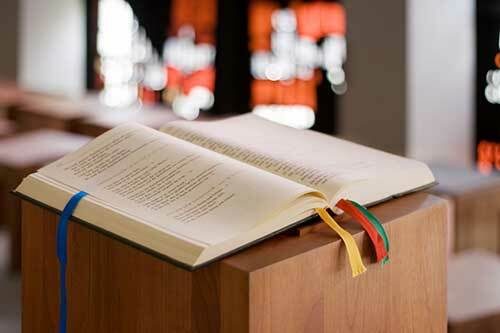 The author of Ephesians (2) exhorts all who are brought in unity by the Holy Spirit to become what we are: one Body and one Spirit in the one God and Father of all Christians. As a eucharistic people how are we to celebrate our gratitude to God’s bounty in worship and song? What change is called forth in me as I focus more on God the Giver of life’s bounty rather on the abundance of things around? And what is my attitude and orientation to be toward those who lack these same gifts from God?